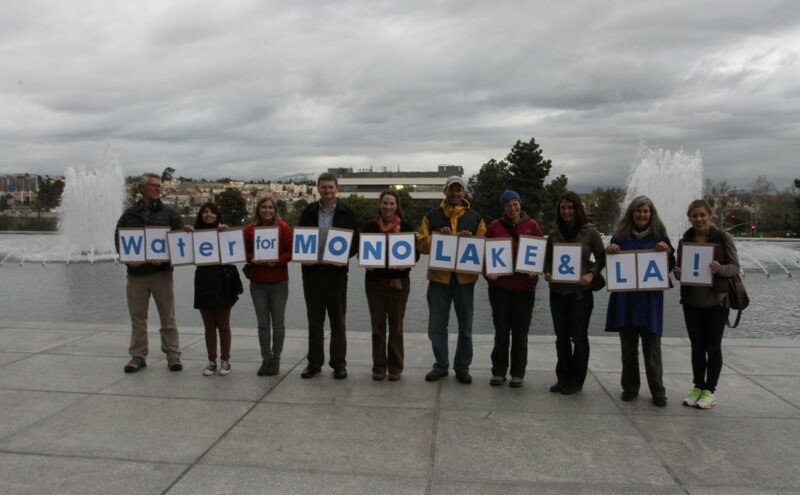 Everyone benefits when there is water in Mono Lake—from Los Angeles residents who rely on Mono Basin streams for some of their water, to visitors to the Mono Basin who seek a peaceful wilderness experience, to the millions of birds, brine shrimp, and other life who call this place home. Help protect this place for future generations by joining the Mono Lake Committee. 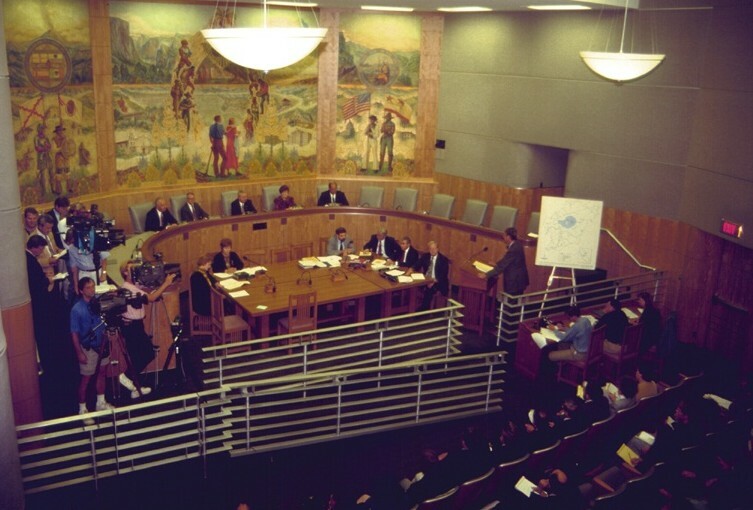 The Mono Lake Committee is here to make sure it stays that way. 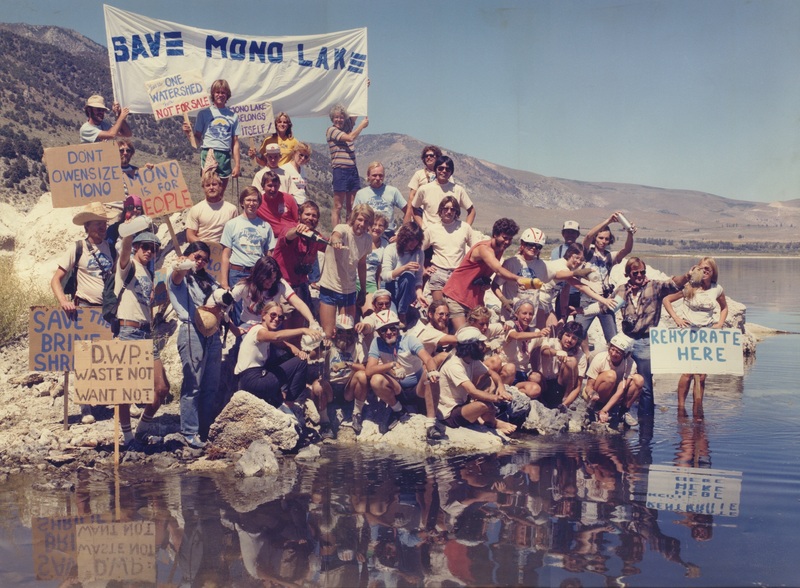 If you would like to join the 16,000 members across the world who have already given their support to Mono Lake, you can join today online or at our Information Center & Bookstore in Lee Vining. Otherwise, if you’d like to stay up to date with what is happening here, we would love to send you news from Mono Lake. 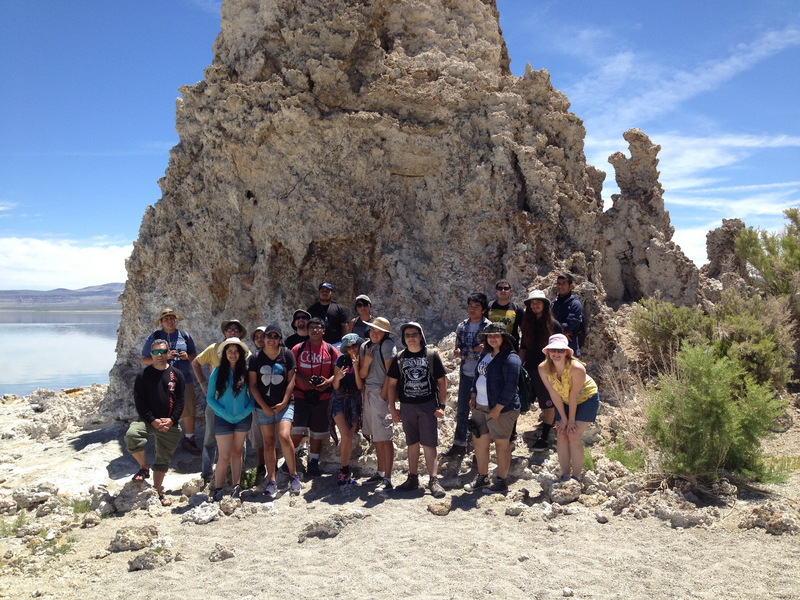 Thank you for taking this self-guided tour of South Tufa—we hope you enjoyed it. 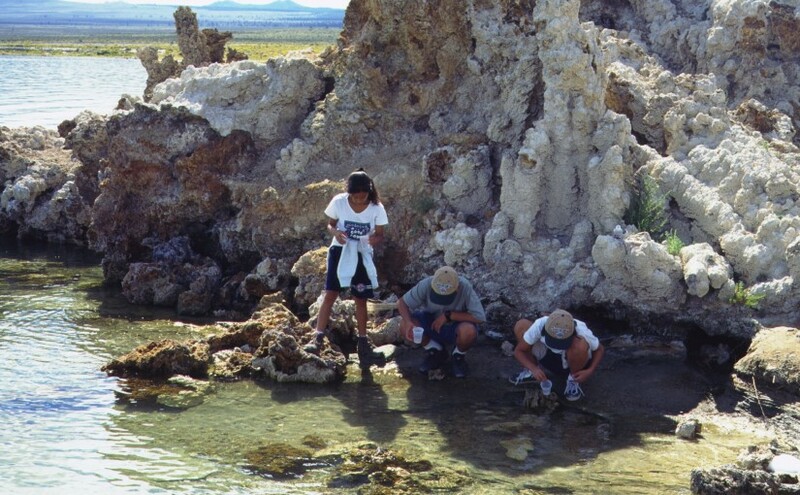 Continue exploring South Tufa, or continue on the trail to loop back to the parking area. 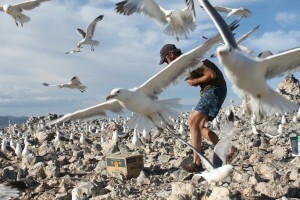 Mono Lake is like an all-you-can-eat buffet of flies and shrimp for the millions of birds that come here. 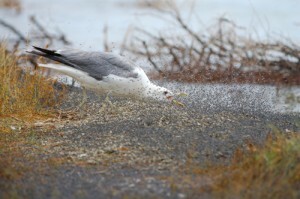 California Gull feasting on swarms of alkali flies. 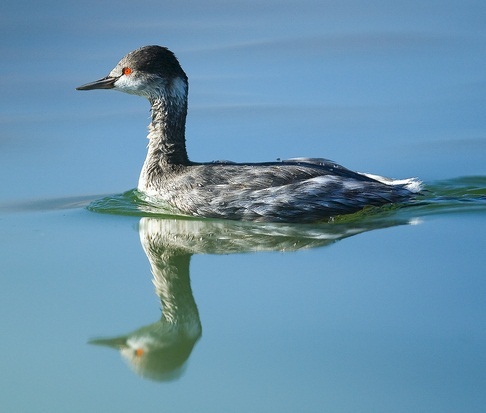 As you walk along the shore, you may notice swarms of alkali flies buzzing about, but don’t worry, these flies are just feeding on algae and will not bite you. 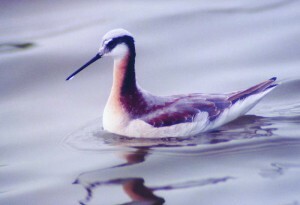 These amazing creatures have small hairs on their wings which allow them to form an air bubble around themselves so they can “scuba dive” under water for a few minutes. The life cycle of an alkali fly (described below). The flies lay their eggs underwater and these eggs will then hatch into larvae, which will swim in the lake feeding on algae. When a larva is ready to pupate, it will latch on to underwater tufa and form a protective case around itself as it metamorphoses into an adult. The native Kutzadika’a Paiutes collected the fly pupae and dried them in the sun for food rich in fat and protein. If you look under a loose tufa near the shoreline, you may find the fly pupae—a delicious snack. Pull one off and taste it! 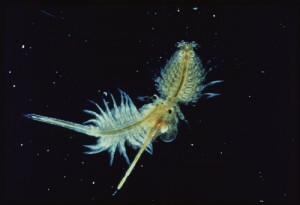 A pair of brine shrimp. 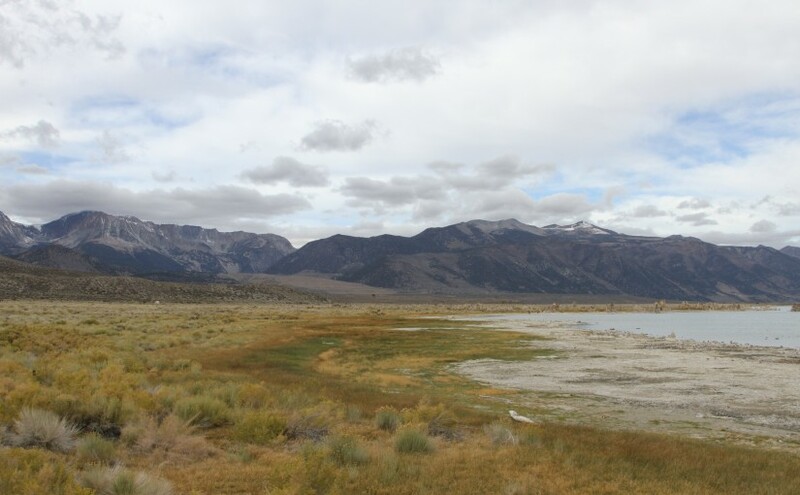 Between 4-6 trillion brine shrimp are estimated to be in Mono Lake in the summer. 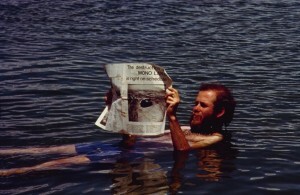 You may also see tiny translucent creatures swimming near the surface of the water. These are a native species of brine shrimp, found only in Mono Lake. The shrimp are also feeding on the algae and are expert osmoregulators, like the alkali flies, pumping salts and minerals out of their bodies to survive. 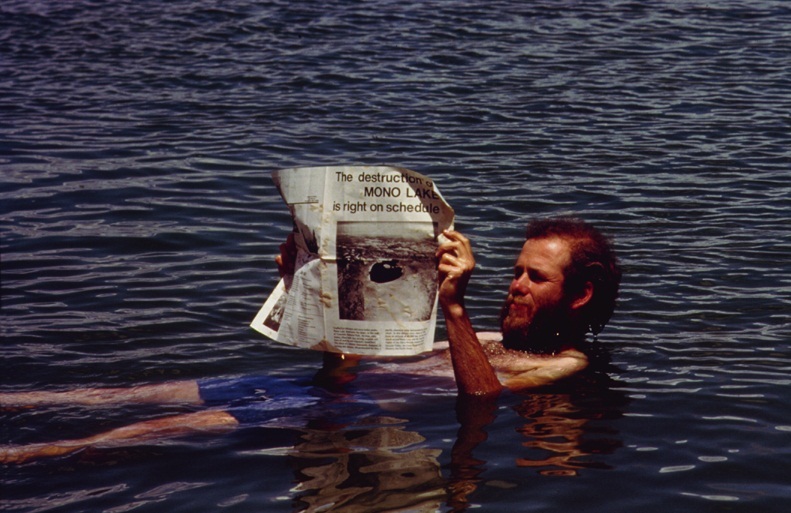 In the winter, you will find the water empty of brine shrimp—all of the adults die off as the temperature drops, but a new generation of shrimp will hatch in early spring from eggs that overwinter at the bottom of the lake. 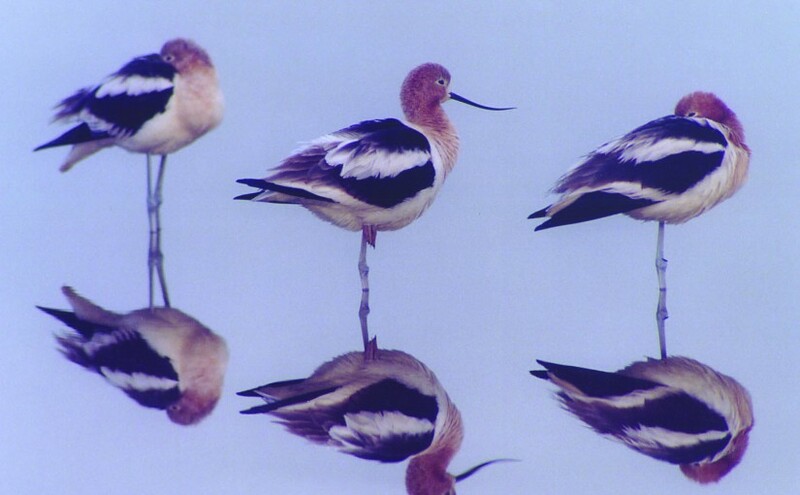 Continue following the trail among the tufa towers, looking closely for the birds described on the following page. 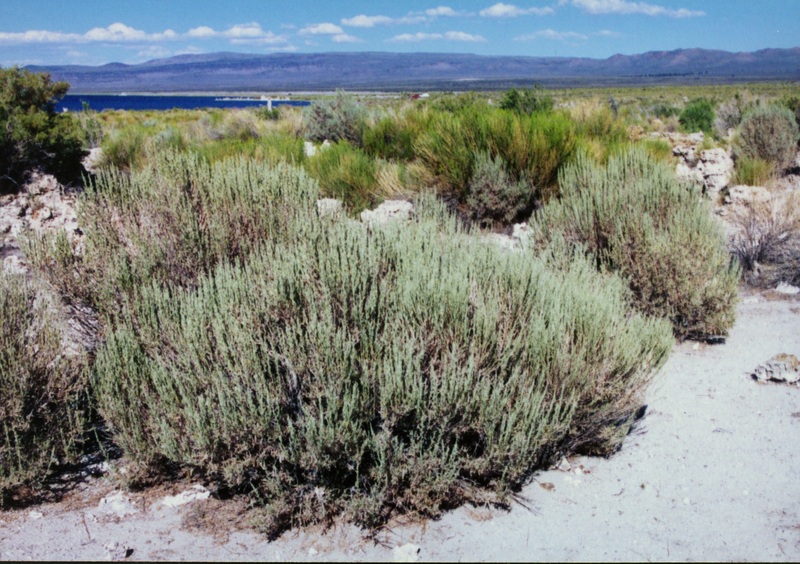 Can you find these three common plants of the Mono Basin? 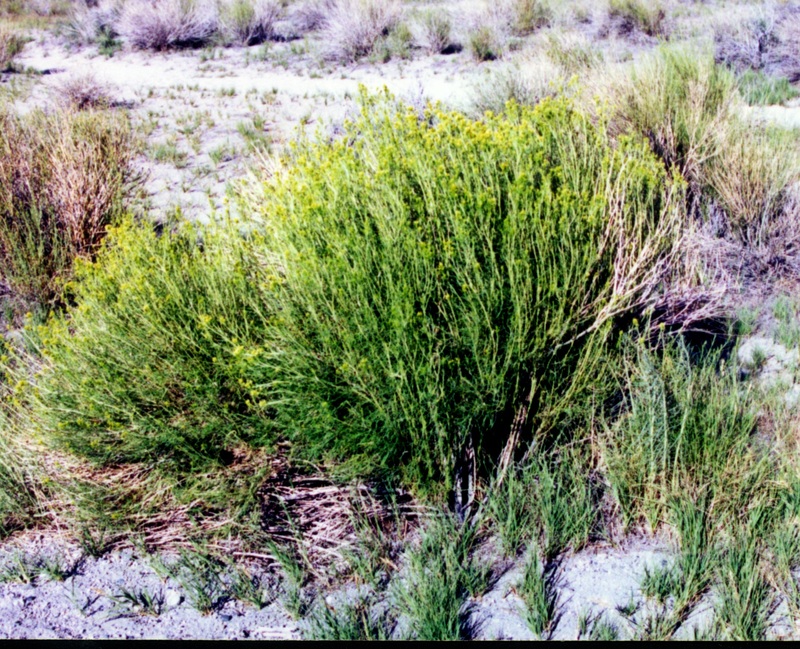 Rubber Rabbitbrush: Known for its bright green color and vibrant yellow flowers in late summer, this shrub dominates the area. As you walk down the path, look to your left and notice the spread of rabbitbrush. 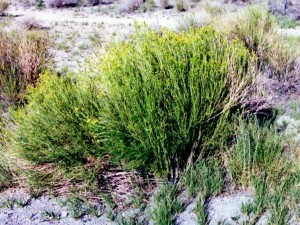 As the lake level dropped, this pioneer shrub came in, thriving in the salty, alkaline soil. 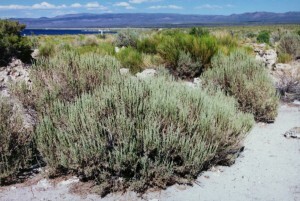 Big Sagebrush: There’s nothing quite like the smell of sagebrush after a summer storm in the basin. 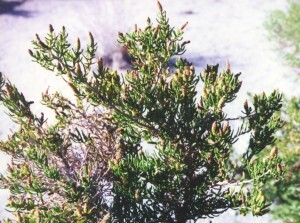 This shrub is one of the most abundant in North America, and it’s upward pointing hairy leaves allow it to effectively hold water in this harsh environment. Look for its gray-green leaves and brush your hand over the plant to release its delicious smell. Caterpillar Greasewood: This woody shrub has an unusual name due to its red flowers, which look like caterpillars when in bloom. Greasewood roots extend down as far as 50 feet, so it is an indicator of underground freshwater springs. Stop at the first short spur trail on the left where there is a large tufa tower near the trail. If you’ve reached the wooden boardwalk, you’ve gone too far. 1: Welcome to Mono Lake! 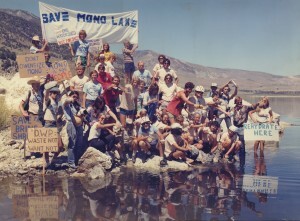 Mark Twain once called Mono Lake the “Dead Sea of California,” but that could not be further from the truth. 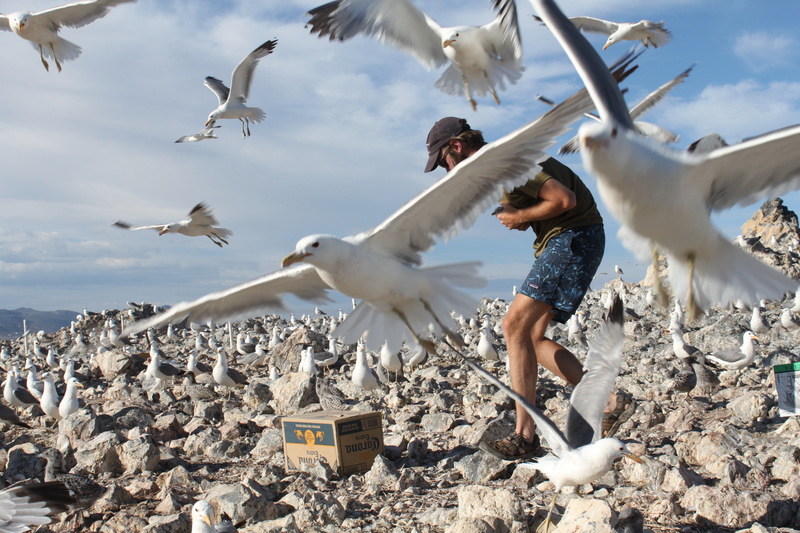 Mono Lake is a fountain of life—important for over 300 bird species, trillions of endemic brine shrimp, and many other creatures. 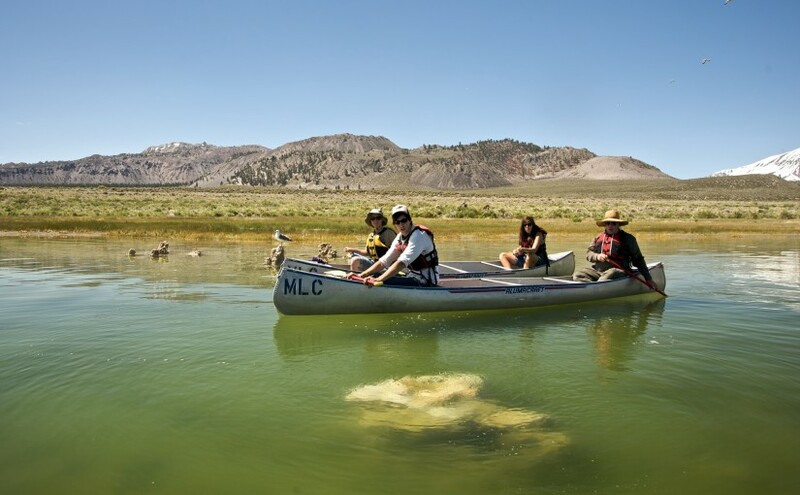 The diversity of life, so abundant at Mono Lake, has not always been ensured; in fact, this entire ecosystem came very close to being completely lost. 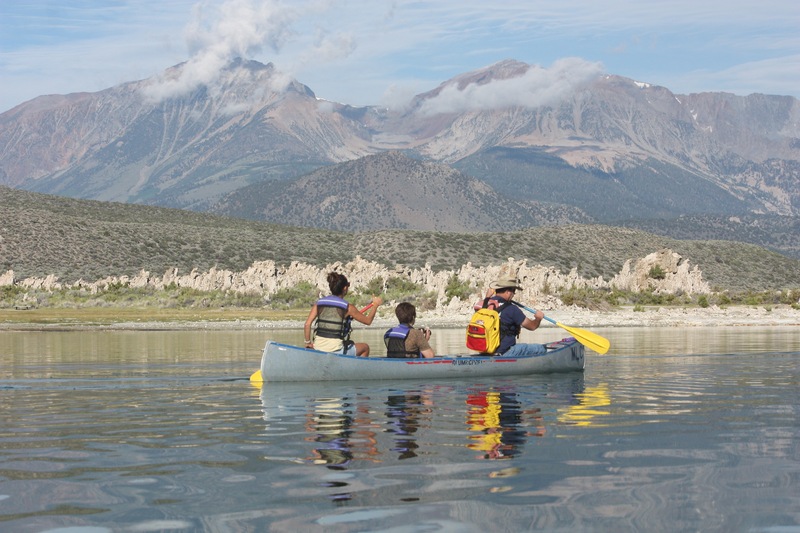 Join us for guided canoe tours in the summer! To illustrate the changes that have occurred here, if you were in this spot in 1941, you would be wading through 3 feet of water. 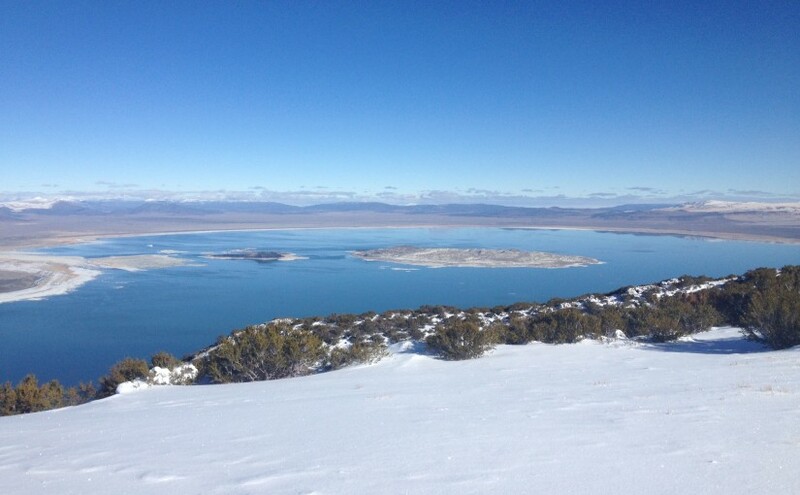 This tour will explain the reasons for this precipitous drop in lake level and also cover the natural and political history of Mono Lake. Enjoy! Continue down the paved trail toward the lake, noticing the different plants along the way. Tap play below to listen on headphones.